Is your website performing well for your business? Is your website being found? Does your website load slow? What can be done to improve performance? 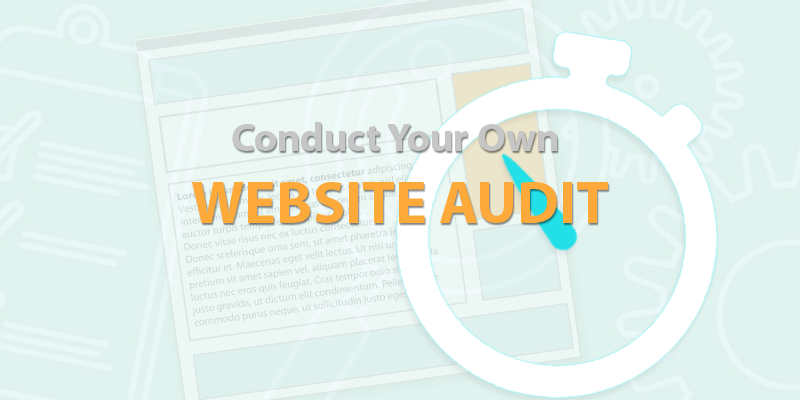 Conducting your own website audit can provide insight on how well your website is working for your needs, help you to determine goals and identify areas that need improvement. This article discusses things you can do yourself to check on your website’s performance, some of the most common issues and methods to make improvements. Why does my website load slow? Every time you view a page on a website your device (computer, mobile etc) needs to download all the images, scripts, files etc that make up the page in the browser in order for the page to fully display. If you have a lot of elements that need to load, then the page speed may be affected by this. However there are a number of factors which can affect page loading times. To get a good indication on how fast your website is loading and areas that can be improved, you can use a page speed testing tool such as Google’s PageSpeed Insights or Web Page Test.org. Don’t freak out if your website doesn’t come up with a perfect score! These tools should only be used as a guide on what may be delaying loading times and how you can make improvements. Every website is different! [/vc_column_text][vc_message message_box_color=”alert-warning” icon_fontawesome=”fa fa-puzzle-piece”]TIP: Make sure the test results reflect your location if you want more accurate results for your local market. E.g. if in Australia make sure your test is coming from an Australian location not from overseas – if using the Web Page Test.org tool, you can select a server in Sydney to use for the test. How can I improve page loading times? If the page has a lot of images to load then this can affect loading times. FIX: Never upload images directly from your camera or smart phone to your website – always optimise them first to ensure fast loading times. I.e. 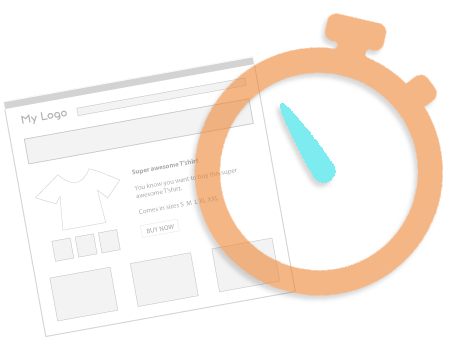 crop and resize each image to the appropriate dimensions and reduce each file size to be as low as possible without losing too much quality before uploading them to the website. The resolution for images on websites should be 72dpi and RGB colour. You may need appropriate image editing software to achieve this such as using the Save for Web function in Photoshop. If your website build allows for it, you may like to consider implementing ‘Lazy Load’ functionality which loads images as you scroll down the page, rather than needing to load them all at once. Images with large file sizes, video files, image galleries and slideshows can slow down page loading. Fix: Optimise images – never upload images directly from your camera or phone to a website, always crop and resize the images to the correct dimensions and reduce in file size before uploading. For video files, you might like to upload and stream them from a third party service such as YouTube or Vimeo so that your website bandwidth is not being used when the videos load and play. Depending on how your website has been developed your website may include lots of scripts and style sheets and some may be very large in file size (especially if your website has been built using a commercial theme). Whilst hosting data may be cheaper overseas than the country you live in, the location and reliability of the server your website lives on can affect your website loading times. After all if you’re in Australia and the website is hosted in the US, the website files need to download all the way from the other side of the world before they are displayed on your screen – this goes the same for your customers. Fix: make sure your website is hosted on a server in the same country as your audience. If you want to target an international audience, consider using a content delivery network (CDN). A CDN is a network of distributed servers which loads and displays web content to a user based on their geographic location. If you have a large website and receive a lot of traffic you will need a suitable hosting account to support your website otherwise it can load slowly or regularly become unavailable. If your website lives on a shared server (not its own dedicated server) in your country, and it regularly loads slow, the server may be overloaded with too many other websites or your website may have been ‘resource limited’ due to it using more than its allocated resources. Fix: contact your website developer to check your website activity to make sure you are not being hit with traffic from bots (scripts) or encountering any other issues. If you do not have enough hosting resources to effectively run your website you may need to contact your website hosting provider to discuss upgrade options. If you’re going to run a large marketing campaign or special event and expect a significant increase of traffic to your website, it is always a good idea to contact your website hosting provider to let them know in advance. That way you can check you have enough allocated resources for the traffic increase and prevent your website from going down or being unavailable with the increased load. Your own internet connection or your customer’s connection at the time of viewing the website may affect the loading speed. Sometimes internet connections can slow down if a lot of people are online, using the same network or a number of other technical reasons. Try visiting the website again at a later time or using a different internet connection (if possible) to see if speed improves. By working through the above your website will improve on page loading times and performance when viewed on mobile devices. Regularly monitoring the traffic to your website can provide you with a wealth of insight including – how much traffic is received, where is it coming from e.g. from searches in Google, links from other websites and/or social media profiles, visitor geographic locations and how people are interacting on your website. There are lots of tools or services available which can help you monitor and review traffic to your website. A popular tool is Google Analytics which offer a free service (suitable for small-medium businesses) as well as a paid Enterprise 360 service (ideal for larger organisations). To add the free version of Google Analytics to your website you first need to create an account by clicking here. Then generate the tracking code and add this to your website. You may need to ask your website developer to add this for you. Once set up you will start to see data insights, however you will need to wait at least a week to begin to review results. Take some time to familiarise yourself with the features of the website analytic software and monitor the results over time to track overall performance. By regularly comparing the amount of traffic you are receiving against the demographics provided and the sources of traffic can help you determine if you are reaching your target audience. Are you receiving a lot of traffic from Organic Search or do you need to improve on this? Do you receive a lot of referral traffic (traffic from other websites)? What about from Social Media? Are you receiving enough traffic from the locations relevant to your business services? Reviewing the activity on your website can help you determine the effectiveness of your website layout and content and make improvements for the customer experience on your website. How long do people stay on your website? Do you have a high bounce rate? (People going to the site, viewing a page and then leaving). Check out our guide on Website SEO basics for pointers on how you can do improve the organic (non-paid) SEO of your website. I hope you have found this article to be helpful for making improvements on your business website. If you have any feedback, I’d love to hear from you – send us a message. Looking for a website developer to build you an SEO and mobile friendly website for your business? Or someone to report on your SEO performance and make improvements? Digital Spice – helping small to medium businesses grow online.